Research shows that there is an 85% unemployment rate among college graduates with autism and that 79% of young adults with autism work part-time, averaging $9.11 per hour. With statistics showing a bleak picture of career success for those on the Autism spectrum, it is important that those with Autism Spectrum Disorders (ASD) have support in finding meaningful and fulfilling work. The good news is that there have been great strides in ASD-related career resources in recent years. Companies big and small are implementing ASD specific job programs and there has been an increase of non-profit organizations launching job search tools. To learn more, see our Asperger’s and Autism Career Coaching Resources. A study on Postsecondary Work and Educational Disruptions for Youth on the Autism Spectrum suggests that research on maintaining employment is just as important as resources on finding employment. 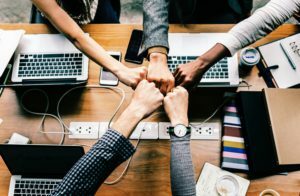 For this reason, having support throughout one’s career through either a mentor or a career advisor can help one understand their unique workplace culture. Workplace considerations commonly associated with ASD include primarily the social or organizational aspects of employment. Interpreting non-verbal communication including body language, facial cues or unwritten social rules can be difficult for individuals with autism. Having support in the workplace can be a game-changer in navigating this nuanced territory. If disclosure is appropriate, it can be the first-step in gaining the necessary support. Of course, there are many considerations related to disclosure including the workplace culture and individuals in place to provide support, but having the right support can make all the difference. The Organization for Autism Research offers helpful advice on disclosure including how, when and what to disclose. They cite many benefits to disclosing such as possible workplace adjustments and supports and the opportunity for policy change. Employers have a major role in addressing the needs of all employees, and specifically neuro-diverse employees. Employers can take a proactive stance by providing education to all managers and employees about Autism Spectrum Disorders and the ADA (Americans with Disabilities Act). Training and education can help avoid damaging stereotypes and assumptions, and prepare managers for the moments when an employee chooses to disclose. Organizational engagement and conversation about Autism and other neurodiversity also sends a message to those on the spectrum that they are an important and recognized part of the community. Not only do initiatives such as these provide support for those who need it, but they also allow for a more inclusive workplace by simply starting a conversation. That benefits everyone: employees, managers, and the business as a whole. For more support, check out our career coaching services for adults with Asperger’s or High Functioning Autism and our Asperger’s and Autism Career Coaching Resources.